I often think of myself as a pretty decent pop music historian, because in conversations with music geeks and non-geeks alike I very regularly can reference what others consider to be obscure music factoids. And yet, paradoxically, I regularly learn something new that takes me totally by surprise. Yesterday was one such occasion, thanks to a friend who, on Facebook, posted a YouTube clip, not only of a British band from the mid-1960s that I’d never heard of, Episode Six, but of Episode Six covering a song I’d only ever heard before as performed by the Grateful Dead: Morning Dew. I’d known that the song predated the Grateful Dead, but I never noticed that the song was written by Canadian folksinger Bonnie Dobson, and I certainly had no idea, until I did my research, just how many artists and bands covered the song, nor how wacky a variety of artists and bands it has been. As I commented on my friend’s Facebook post, “Any song that can be covered by the Grateful Dead, Jeff Beck, Lulu, and Devo, just to name a few, is one helluva song!” And, perhaps it’s the song’s heavy subject matter that has inspired so many to interpret it. 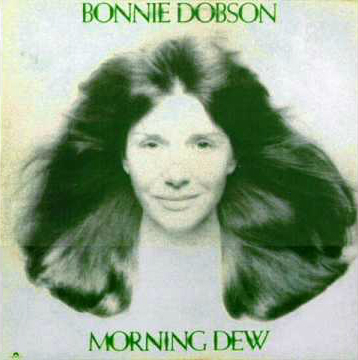 The song is a dialogue between the last man and woman left alive following an apocalyptic catastrophe: Dobson has stated that the initial inspiration for “Morning Dew” was the film On the Beach which is focused on the survivors of virtual global annihilation by nuclear holocaust. Appropriately then, for this week’s Video Fridays installment, I’ve selected a handful of versions of Morning Dew to best capture this wacky variety, starting with the wackiest I could find.